Thank You to Patagonia Victoria! Thank you most graciously to Patagonia Victoria for generously donating $500 to the Ancient Forest Alliance! The donation comes from a recent symposium and sale at the University of Victoria which raised awareness about environmental activism, responsible consumerism, and outdoor adventures, and goes above and beyond the Patagonia Victoria/Banff /Calgary of Elements Inc. annual commitment to the 1% For the Planet program! 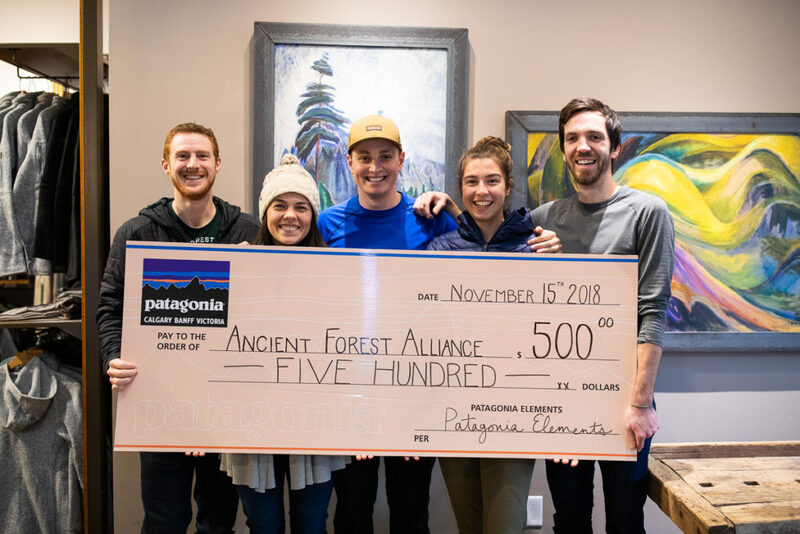 Patagonia Victoria has also supported the movement to protect old-growth forests in BC by hosting numerous events in their store and helping to mobilize community members. We are enormously grateful for their continuous and outstanding support!